Before everyone gets distracted with the shiny new White Sox player tonight, I thought I'd show you what came in the mail. An awesome looking Harold Baines card from Marie at A Cardboard Problem. The picture had to be taken during his last two stints with the Sox as a player. Apparently the photographer caught Harold in mid-pucker during his swing. It makes for an interesting action shot of number 3. This card was pulled at the National. One of these years, I will make it to one of them. I just need a better cash flow when it comes around. Someday, someway, you'll see me at one of them. Eventually. Thanks, Marie! This will be added to my growing Baines collection. Thanks for helping me solve my cardboard problem. Most baseball fans dream of playing in the majors. Very few actually get there. Charlie was born in Chicago in 1912. 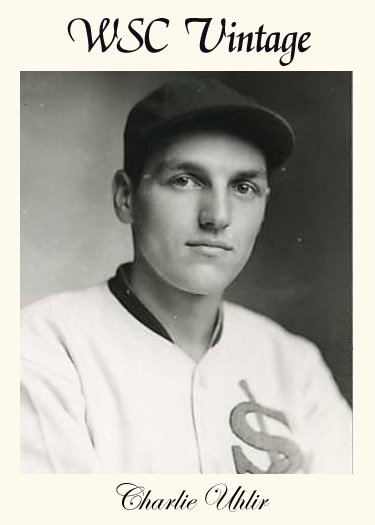 In 1934, this southpaw leftfielder played fourteen games with the White Sox, the only MLB games of his short career. Only six of those games were played in the field. Uhlir was nine for nine with chances in the field. In thirty plate appearances, he had four singles, good for a .148 average. Charlie made his debut on August 3, 1934. The reason for his call up was likely due to the Sox finishing dead last at eighth place that year with a 53-99 record. The standout game for Uhlir was on September 10, 1934, where he went two for five with one RBI in a loss to the Washington Senators. 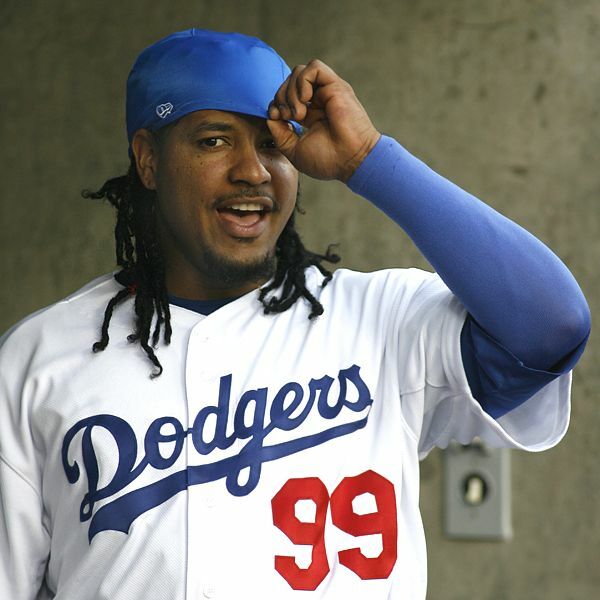 The final details are being worked out, but Manny Ramirez will be a White Sox on Monday. Last night, a married couple that Tracey and I are friends with offered two tickets to today's game. They knew someone with a row of season tickets and no one was going because of the heat. They were going, would we like to go with them? Hell yeah! I've been wanting tickets to Frank Thomas Day all season long. Another friend of mine was going to ask an employee of the park for tickets, but they fell through. I couldn't afford tickets to a game against the Yankees, so that was out of the question. Somehow, I knew I was going to be at the park and it turned out that my premonition was right. We started our day at 9AM. We showered, checked e-mail, and waited to be picked up. We were picked up a little before 10:30 and arrived in the parking lot just before 11. The lines outside stretched all the way to the parking lot. People were shoving past others and generally cranky. It's not a sight that usually greets me when I arrive two hours before game time. The four of us all thought better of waiting in long lines because we each had this. We got to go through the Stadium Club entrance. Shortly after 11AM, just after they started to let people inside, we were informed that this entrance was out of the Frank Thomas bobbleheads. Um... what?! There's no possible way that 10,000 people passed through the gates before us. Not even 5,000 people. But whatever. The tickets were free. The bobblehead would have been a bonus. The real attraction was inside anyway. Once inside, we see some people with five or six bobblehead boxes in their hands. Interesting. We scope out our seats and sit down for a little bit. Great view, huh? Not bad for a crappy camera phone. 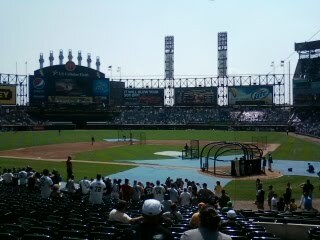 There was a whole slew of activity down by the White Sox dugout and we had a great view. Then I spotted the dark sheet over what will be the newly retired number 35. Even from our seats, we were able to get a good view of it. We left our seats and headed to the eats. Tracey and I went one way and our friends went the other way. We picked up some food and headed over to Loretta's Lounge. We ate our sandwiches and had a nice chat with an older couple. The gentleman had been a White Sox fan since 1942 (right before the Johnny Dickshot era) and the lady had been a casual fan since 1967. I could faintly hear Gene Honda's voice in the background, but the crowd was starting to stir. We finished our food and headed back to our seats. Tracey made a beeline for the bathroom as I trudged through the crowd to section 135. As I start to pull my ticket out to show the usher, I hear my name. It was our friends. I turned and walked over to the garbage can where they were standing next to, wondering why they weren't down at our seats. Just then, our male friend ran towards the mens room. "Didn't his pre-game churro agree with him", I wondered aloud. His wife said that he hadn't been feeling well the past few days. He felt better this morning, but now he was really feeling bad. "Wow, I didn't even recognize Dan Pasqua!" He returned and looked really pale. He ran to the bathroom again. Wow, he ran quick to the bathroom. I haven't seen anyone run like that since Juan Pierre stole his fiftieth base. "Hey, it's JD! Damn right he should still be playing today." Back from the bathroom and he looks paler than Casper. He can't be here any longer. We have to go. And then we turn towards the exit. We are well on our way home when Gavin Floyd gives up the first inning home run. Yeah, I was at the park today, but I missed out on the game and the bobblehead and the pre-game ceremony. Oh well. It was still fun to be inside the park, even though we really didn't get to see anything. And to the people who were shoving their way past all of us from the parking lot to the entrance: I'm glad you didn't get a bobblehead either. The one snooty girl was wearing a Konerko jersey. I wonder if her rude self could identify him without any help. People who only go to the park for the giveaways are really annoying. I want to thank Ron, of Section 36, for the cards that came late last week. My goal was to get a trade summary up last weekend, but things have been hectic in my family the last eight days. Last weekend, an immediate family member was rushed to the hospital by ambulance. After a lot of testing, everything turned out OK.
Just as we were recovering from that, my great uncle passed away suddenly. I learned more about his life, after his death, than I did when he was alive. Even his kids were learning things. I knew about the heroism of his time with the Chicago Fire Department and his later career as a barber. What I didn't know, was that my great uncle was a Golden Glove boxer in Chicago, a water polo champion in Miami, a Korean War veteran, an artist, among many other hats that he wore throughout his life. He just never spoke about them. 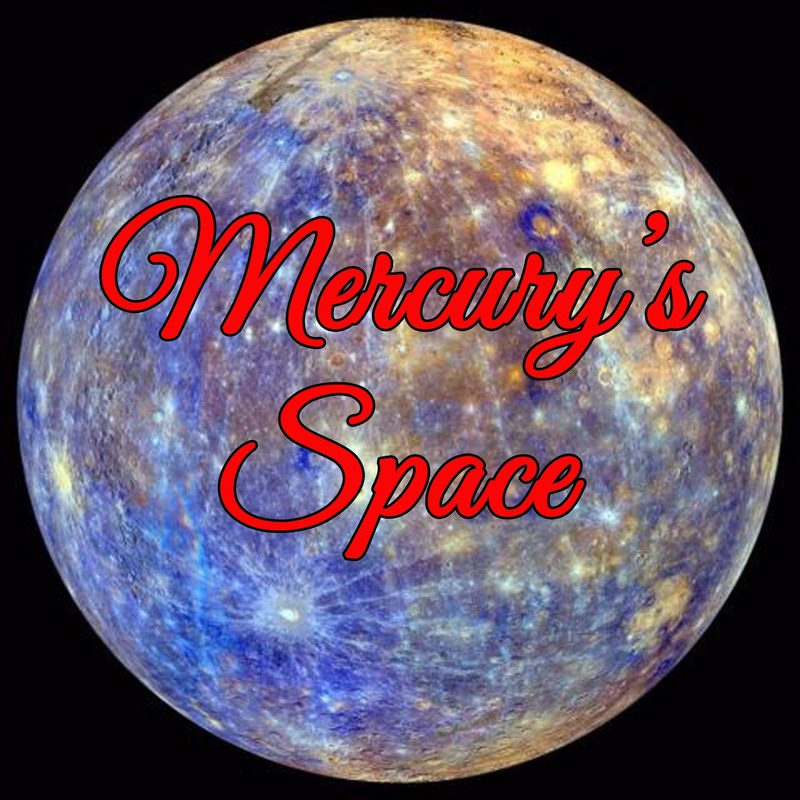 It's been a long week, but I wanted to get this post up before any more time passed. It contained cards from 2000 - 2010. Some really great cards that will probably find their way into card spotlights. Thanks, Ron! When my supply of Red Sox cards builds up again, I will send you something. Is Bobby Jenks a polarizing figure? He sure is. Whether it's off the field remarks from his early playing days or his recent struggles on the field, Bobby causes a strong reaction. After the last few years, fans were starting to wonder if the old Jenks would come back. He never really left. He just had to deal with some injuries. I can remember a number of games in 2009, where Jenks would get the first two batters out, load the bases, then barely escape the ninth with the lead. Something wasn't quite right. In the past few weeks, Bobby has seemed to regain some of his old swagger along with some of his old velocity. I think it's high time that we remember Jenks again with a nice looking card from a half baked set. Enter 2007 SP Rookie Edition. Featuring a player who has worked solidly in three seasons isn't my idea of "rookie", but whatever. The trouble comes long after Jenks is passed up in the set. The players that are much closer to rookie each have multiple cards based off of earlier SP card designs. The whole idea is confusing at first, until you put together the pattern. In fact, that's probably a good analogy for Jenks the past few years. See? It all works out through cards. The teams have until Tuesday to decide, pending player approval. The Chicago White Sox picked Chris in the first round of the 2010 draft, 13th overall. Sale was the first player in the 2010 draft to make the majors. While Chris is being groomed for a starting position, he's cutting his teeth in the bullpen, racking up MLB experience and soaking everything in. His first outing was less than stellar, but since then, Sale has improved steadily. Chalk that first outing to nerves. Chris appears to be the real deal. White Sox fans should be looking at his career very closely in the next few years. Despite the wording on the card, McGuire is the one catching and Fogarty is batting. The Quakers are today's Phillies. The Quakers name was used from 1883 until 1889. The Phillies name appeared in 1884 and took over fully in 1890. The Phillies name is short for Philadelphias, so in essence, the team is known as the Philadelphia Philadelphias. What makes this card so striking is the use of photography that doesn't look like it was shot in a studio. The majority of cards from this period were very obviously staged inside a studio. This picture, while still staged appears to be taken inside either Recreation Park or the brand new (in 1887) Baker Bowl. Either way, it offers a fascinating look at players in their element, at a time where photography of this nature was rare on a baseball card. This time period usually produced the previously mentioned studio shots or painted pictures on tobacco cards. Cards measure 2¼” by 4″ and are on thick cardboard. The set is unnumbered, but the cards are unofficially numbered by alphabetical order, as usual with unnumbered cards. 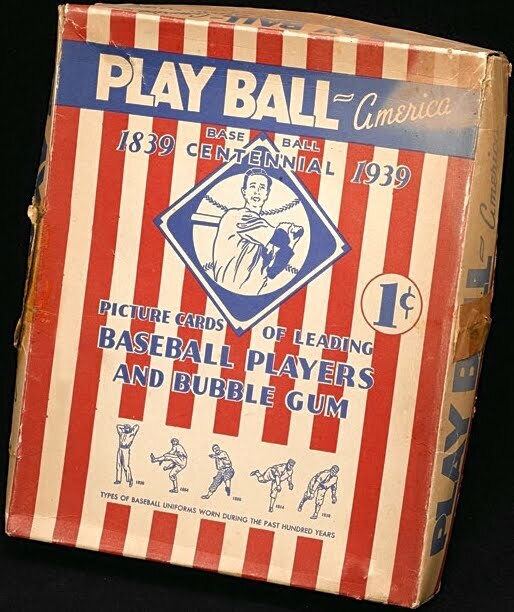 Players shown in the set are from New York and Philadelphia only. Backs can be found blank or with advertising. I am a sucker for any photograph of players in uniform and inside their parks from the 1970s and earlier. It's a revelation that photographs of this nature exist from the nineteenth century. This is my favorite example of a Philadelphia Quakers card. Albert Belle rose to prominence with the Cleveland Indians. His offensive production was in an elite class that was matched by only a select few players. Despite his hate for the media, the numbers did not lie. After the 1996 season, Albert signed a five year contract with the White Sox, making him the highest paid player at the time. Belle responded by putting on a hitting clinic during the first two years of that contract. 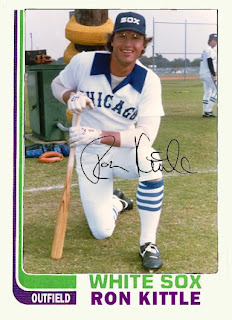 He played in every single game for the White Sox during that time and established a White Sox single season record for home runs that still stands. Belle had a clause in his contract that stipulated if he were not one of the top three paid players, he could opt out of his contract and become a free agent, if the Sox would not give him a raise. After the 1998 season, that scenario came to fruition. Albert signed a five year contract with the Baltimore Orioles for $65 million. How did it work out? Belle put up two solid seasons with the Orioles before retiring due to degenerative osteoarthritis in his hip. He remained on the Orioles payroll for the entire length of his five year contract, while an insurance policy reimbursed the Orioles for a good chunk of his remaining salary. 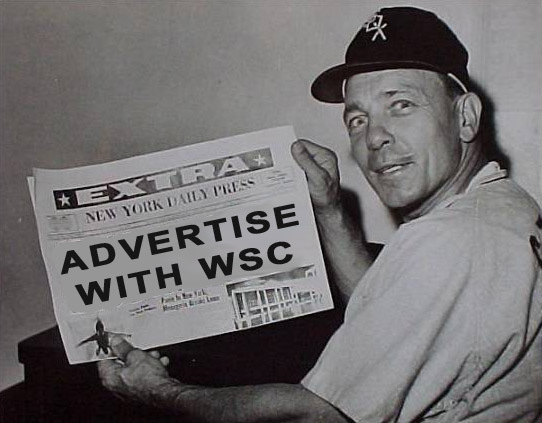 As for the White Sox, they were rid of a ridiculous contract and a player loathed by the media. Carlos Lee replaced Belle in left field and helped the Sox make the playoffs in 2000. The Sox luckily missed the decline and sudden retirement of a once powerful player. 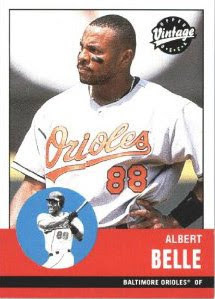 Although the decision to let Albert Belle slip to free agency was unpopular with the fans, it was the correct call given Albert's health status a short while later. 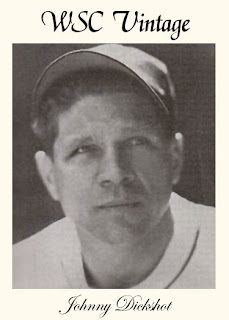 Johnny's started his career with the minor league Dubuque Tigers of the Mississippi Valley League in 1930. He broke through to the majors with the Pirates in 1936 before being traded to the Boston Bees in 1938. A few months after that trade, Dickshot was purchased by the New York Giants, where he played ten games before he was purchased by the Hollywood Stars in 1941. He was still with the Stars when he was purchased by the White Sox in September 1943. It was in Chicago, not far from his hometown of Waukegan, where Johnny Dickshot shined. He played solidly for the White Sox and put up a career year in 1945. Johnny hit .302 with four home runs and 58 RBI that year. Dickshot's nickname was "ugly" because of his boasting that he was the "ugliest man in baseball". After playing with the minor league Milwaukee Brewers in 1947, he opened up a bar called the Dugout in Waukegan, Illinois. His last public appearance in the MLB came in June 1994, when he threw out the first pitch at Comiskey Park before a White Sox game. Blame it on the umpire. Everybody does. 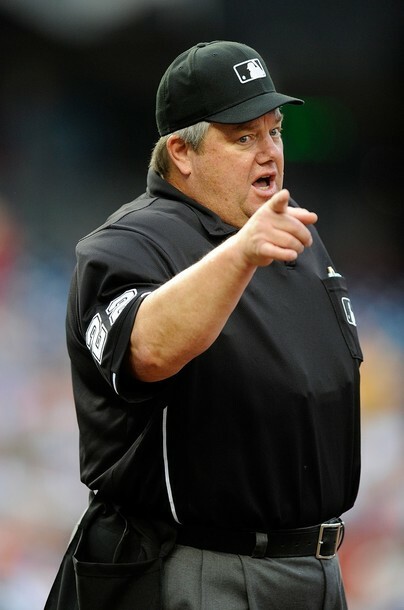 No umpire thinks he's bigger than the game more than country music minedas Joe West. No matter what he thinks, no man is bigger than the game itself. Can Joe West be impartial? He can, but not consistently. The White Sox usually take the brunt of his ego. Sometimes it seems as if Joe is doing these things deliberately. Maybe he is. Maybe he's not. Only Joe can really know. The facts are this. Joe West was fined for his actions against the White Sox in a game earlier this season. Despite the warnings of the Royals groundskeepers that heavy rain was expected within fifteen minutes, Joe West decided to start Friday's game. That game lasted less than an inning and both starters were lost. The opinions are this. Joe West deliberately started a game in which the White Sox were in the playoff hunt, forcing that night's starter to be unavailable for the rest of the series, and further taxing the team by playing three games in the span of 24 hours. This decision was helped by the asinine rules stating that no other game can be played on television against FOX Saturday baseball or against ESPN Sunday night baseball. Anyone who is employed in an on the field role in MLB would know this. In one manner of speaking, Joe West screwed over the White Sox by his actions in this weekend series. Throw in the facts that all three games went into extra innings and Joe West made a few questionable calls in each game and that starts to look like a grudge is being held against the White Sox. This close to the end of the season, the postponed game could have been held until the end and played only if necessary. On the other hand, Joe West did make some close calls in favor of the White Sox. A play at second base in the first game of Saturday night's double-header comes to mind. More often than not, Joe West is out for himself first, even if it is at the expense of players. There have been numerous complaints about Joe this season, not just by the White Sox. I think it may be time for Joe West to be shown the door. Let him focus on his country music. It's not entirely Joe West's fault. Part of the blame lies with exclusive contracts and blackout dates. The entire notion of a network hijacking a time slot, where no other game can be shown is plain ludicrous. I can't see that being good for anyone. The blackouts are just as bad. I can understand a blackout in the case of two different networks showing the same game. It's a bit silly, but I can see that. Personally, I used to enjoy flipping back and forth between WGN and TBS as a kid and getting both sides of a Cubs/Braves game. I'm not the only one who enjoyed that. What possible reason is there to block out a Dodgers/Rockies game in Chicago? Is that game competing with anything in Chicago? No. All of those complaints and observations are just window dressing. Let's get down to the nitty gritty. All of these games were winnable. Most of the games had already been won. Does the fault lie with the bullpen. Yes, but only a small portion. The real culprit is the offense. It's a case of "Don't tell me what you hit. Tell me when you hit it" that is the real story of the 2010 White Sox. The numbers in the past five series have been abysmal with runners in scoring position. The hits have been there, just not at the right times. The bullpen does need work and Joe West needs to be shown the door, but if the Sox don't start hitting when it counts, the season is lost. Vintage without really being vintage. This annual set used to be one of my absolute favorites. The set would be loaded with stars and fan favorites of yesteryear. 2007 would be the last year of the greatness of this set. In 2008, the set would radically change into a modern player set. The vintage players were still there, but they would all be short printed cards in the base set. Luis Aparicio was still there, but good luck finding his short printed card in a pack. I wasn't crazy about the design of this set when it first came out, but it has since grown on me. The boldness of the colors against the black and white picture are striking. Aparicio really jumps off the card. The direction of this set mirrored the company's decent. Sadly, this is what the card reminds me of now. I loved this set and Upper Deck messed with it, then it became just another set with the same players heading it up. I hope to remember the last grasp of class that this 2007 set represents. What never changes is the beauty of this card. It's always a pleasure to be part of someone's first trade. 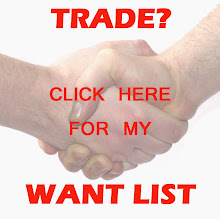 Depending on how that trade goes, it could turn someone into a lifelong trader or turn them off completely. At this stage of my collecting, I'm really only interested in one team and certain players. I no longer have an eBay store, so I don't have to divide my pack finds in half. When at all possible, I try to throw in extra stuff. It's harder with teams like the Red Sox, Braves and Yankees, to name three. There seems to be an abundant of traders for those teams. It's only natural that I would have less to offer, potentially, since those cards go out to all corners of the globe during trades. It usually takes longer to replenish stock of those teams and a few others. Enough about the intricacies of trading. There was a purpose for latching onto that topic. I was able to complete a trade with a first timer, the other day. John, from My Detroit Tigers Baseball Cards, asked if I was interested in trading for a Paul Konerko All-Star jersey card. Obviously, you know that the trade was successful. I wouldn't be writing about a failed trade. As I got word that my package to John arrived, he told me that I should be expecting a return package shortly. That package arrived in today's mail. Here's what the envelope contained. Thanks, John! The Konerko card was everything I imagined it would be and the bonus cards were a nice surprise. 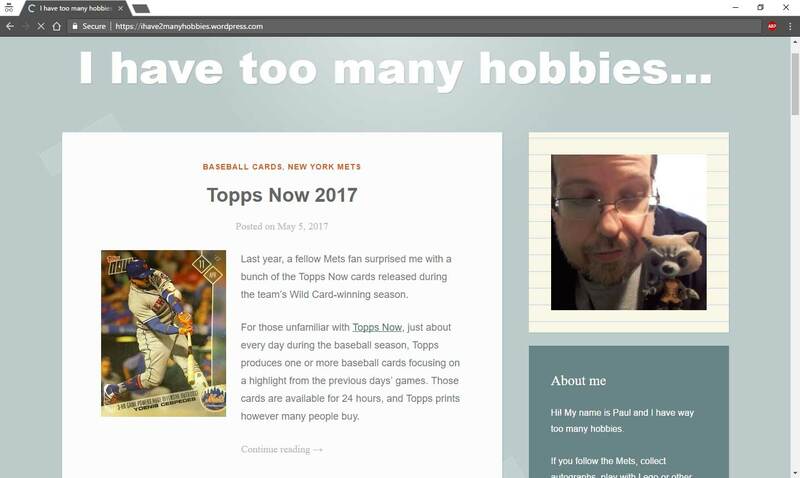 Hopefully, this will start you off on a journey of many future trades with the blogging community. Beltin' Bill Melton spent the majority of his career with the Chicago White Sox, but the last two years were spent with the Angels and Indians. In the seventies, Topps had a spotty record with showing players on their correct teams, especially if they changed teams closer to the start of the regular season. Bill was traded from the Angels to the Indians on December 3, 1976. 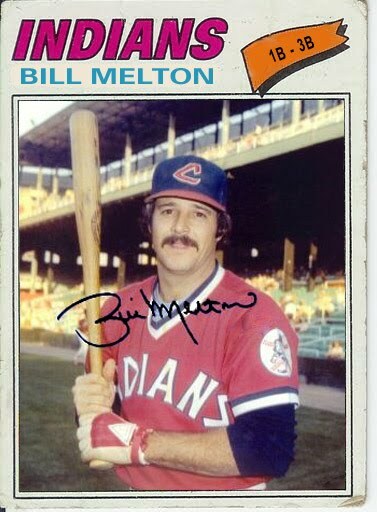 This should have allowed enough time to airbrush Bill into an Indians hat for his 1977 card, but the only card to feature Melton's magnificent mustache had him on the Angels. I wrestled with whether to give Bill a 1978 legacy card or an update of his 1977 card. Ultimately, I chose to update his 1977 card because Melton's last Major League game was on August 30, 1977, in Cleveland, against the White Sox. Bill may have been with the Indians in September, but did not make an appearance in any game. He was granted free agency in October 1977. Without any games past August under his belt, I doubt that Topps would have considered him for the 1978 set just to get him in an Indians uniform. Since Melton was already given an Angels card in the 1976 Topps Traded set, updating the 1977 Topps card made the most sense. Plus there's now a full view of that awesome seventies 'stache, instead of the side view from the original 1977 Topps card. Most people remember Kid Gleason as the manager of the 1919 Chicago White Sox. 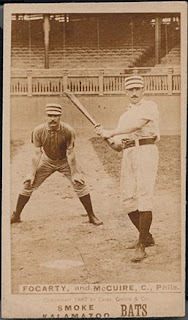 Before the infamy of that team, William J. Gleason was a player with the nickname "Kid". 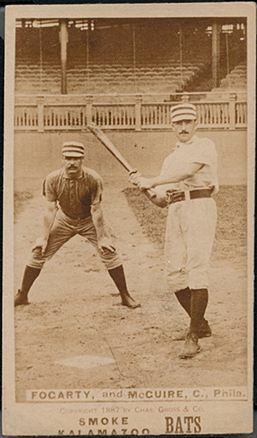 Gleason started his career as a pitcher for the Philadelphia Quakers in 1888. Contrary to a line in the film Eight Men Out, Kid Gleason never pitched a no-hitter. 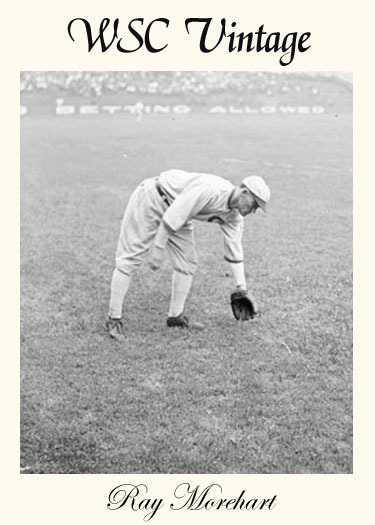 By 1895, he switched from pitcher to full time infielder. After Philadelphia, Gleason played with the St. Louis Browns, the Baltimore Orioles, the New York Giants and the Detroit Tigers. Kid probably thought he had finished his MLB career in 1908, where he started, with the Phillies. In 1912, he played one game with the Chicago White Sox, playing second base, and went 1 for 2. This one last game with Chicago gave Kid a distinction that few other players have experienced. The White Sox helped Gleason play Major League ball in four different decades. Ron made his MLB debut on September 2, 1982 and appeared in twenty games that season. The next season, Kitty would be the American League Rookie of the Year and appear in his only All-Star Game. He would also set a club rookie record for home runs in a season, with 35, which still stands. Kittle's spectacular rookie season is one of the main reasons why he is still a fan favorite today. Ron would continue to be popular enough throughout his ten year career that the White Sox signed him as a free agent twice after he was traded to the Yankees in 1986. 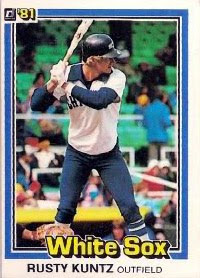 Three card companies missed four opportunities to include the up and coming Kittle in one of their sets in 1982. The most likely entry would have been the traded set put out by Topps. This card should help rectify that mistake. 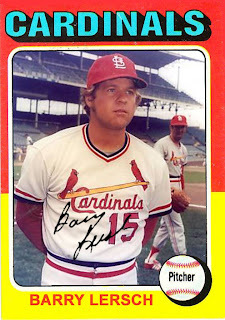 Barry was denied a card representing his short time with the Cardinals. Lersch is probably best remembered for his time with the Phillies, a team he spent all but one game with in the majors. At the end of the 1973 season, Barry was part of a trade that sent him to the Braves and sent Ron Schueler to Philadelphia. He had a Topps Traded card in 1974, listing him on the Braves, a team he would never play for in the majors. When the Braves traded for Lersch, they thought they were getting left-hander Randy Lerch. 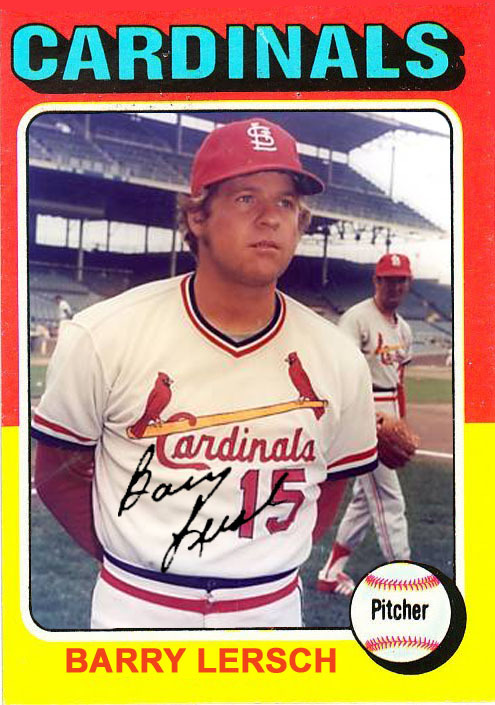 After toiling in the Braves minor league system for a few months, Barry was traded to the Cardinals, where he pitched 1.1 innings on September 21, 1974. He entered the game in St. Louis with the Cubs up 7-0 in the top of the sixth. Barry would give up five runs in the sixth to make it a twelve run deficit for the Cardinals. Barry was back out for the seventh inning. He faced four Chicago batters, gave up one more run and recorded and out before he was pulled in favor of Sonny Siebert. Lersch left with a 40.50 ERA and never played in the majors again. My penance for spending quality time with my fiancee instead of monitoring the computer last week? This news completely escaped me until today, when I read it in the newspaper. This probably also explains the Viciedo card comments on Twitter directed towards me. I guess I was more focused on the poor play of the team, than card announcements. This, coupled with the fact that Viciedo was sent down last week, makes a great juxtaposition. 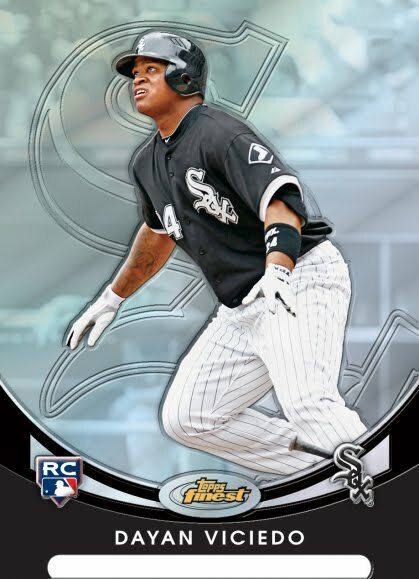 Last week, Topps announced the player redeemable for the 2010 Topps Finest Baseball Rookie Redemption #8 is Chicago White Sox Pitcher third baseman Dayan Viciedo. Throughout the 2010 Major League Baseball season, Topps will announce the subjects for the 10-card Rookie Redemption set. Each Master Box of Topps Finest includes one Rookie Redemption. In addition, collectors can also find redemptions for Blue Refractors (#’d to 199) and Gold Refractors (#’d to 50) versions. I still haven't been able to afford any of the Beckham redemptions from last year. It will be interesting to see if the Viciedo cards are more affordable, since the hype machine isn't as strong with Dayan as it was with Gordon Beckham. Yes, this series against the Tigers was more embarrassing than shorts. Especially the Sunday game. As the bullpen played different versions of Brutus (sans Chis Sale) to Ozzie Guillen's Caesar, Andruw Jones gave his very best Guy Hawkes impression in center field. He did redeem himself somewhat with the bat, but the floodgates opened up with some interesting tracking in the outfield. The Tigers did their best to hand the game to the Sox on multiple occasions, yet the Sox would only seem to bite when it wasn't in their best interests. There were fireworks galore with home runs, but the pitching gave it right back to the Tigers. The Tigers weren't exactly the 1927 Yankees out there today, as they made routine plays seem more difficult than advanced calculus. Hopefully, the Sox will be able to regroup and arrive in Minnesota refreshed, relaxed, with a new purpose. If the Sox are intent on revisiting April, they may as well concede now. I'm not expecting the same run of June, but these are the mistakes of a tired team or one that has given up. The easy thing to do would be to blame the return of Mark Teahen. That's just stupid. 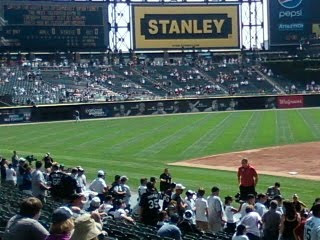 Those looking at the numbers will note the less than impressive record of the 2010 White Sox with Teahen in the lineup. It's not that cut and dry. This upcoming series in Minnesota will be the litmus test. If the Sox fail there, they might as well take to wearing shorts to distract people from the product on the field. Here's hoping that this is just a normal bump in the road and not the Sox returning to earth, only to crash and burn upon reentry. There are a few bloggers, that I have traded with long enough, where random packages will pop up at my doorstep with little or no warning. Sometimes they are filled with things from my want list. Sometimes they are filled with assorted White Sox cards and a few players that I collect. These don't always have things that I need, but they are always fun. The latest package that came this way was from Cliff of Capewood's Collections. Cliff usually sends a good chunk of White Sox that he runs across, while I set aside Phillies and Astros for him. This collection of random cards was no exception. In the package, I spotted a Harold Baines card from his days in Oakland and the rest are all glorious White Sox cards. Ranging from 1988 until 2010, this was heavy on recent cards (2007 - 2010) and 1992 Ultra. Throw in a few random cards from other years and you have a very interesting package. Everybody is here, from Ron Karkovice to Ramon Castro. Mark Buehrle to Melido Perez. Ozzie Guillen to Alexei Ramirez and many in between. Thanks, Cliff! I'll have fun sorting through these this weekend. These packages are especially nice, since my card budget is down to almost zero lately. I should have a package of Phillies and Astros to send out soon. Rather than make jokes, I'll leave you to fill in your own name jokes about this card. They are all over the web, if you look hard enough. It's more a joke about the player's name than the card itself. My day has been mostly filled with weather related headaches, so I'll keep this post brief. All things considered, the 1981 Donruss set was pretty decent looking for a first attempt. The card stock wasn't the greatest, but it has held up over the years. The photos were slightly better than Fleer's 1981 offering. The player selection was halfway decent. After all the years, the design is recognizable. Plus, you get to see the disco collared shirts of the White Sox. I have a feeling that you will be hearing much more about Rusty Kuntz in the blogging community before the year is through. Call it a hunch. Harry finished his Hall of Fame career with the White Sox from 1921 until 1925. 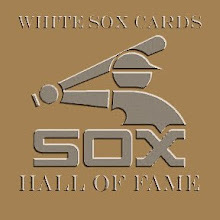 Hoop came to the White Sox through a trade with the Boston Red Sox for Shano Collins and Nemo Leibold. His World Series days may have been behind him, when he was traded to Chicago, but Harry had the unenviable task of replacing newly banned outfielder, Joe Jackson. Hooper brought his stellar defense with him and a resurgent bat, boasting his two highest season averages in 1921 and 1924. Harry wasn't an upgrade from the departed Jackson, but he held his own. 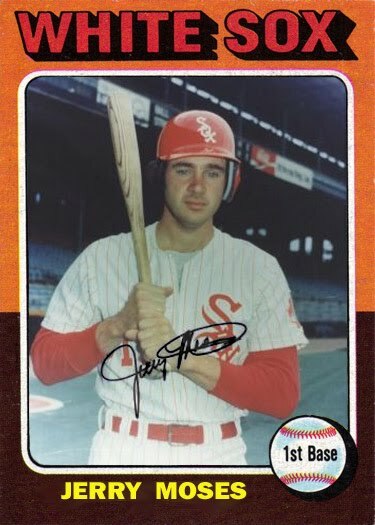 After seventeen seasons, Harry sported a .966 fielding percentage, only dipping below that career average twice while in a White Sox uniform, albeit just a fraction under the total. 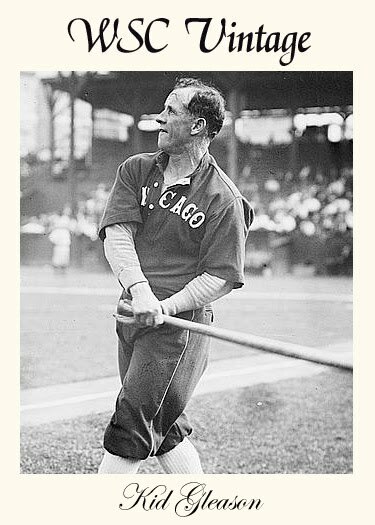 Despite the addition of Harry Hooper to the lineup, the White Sox wouldn't return to the postseason for many years. One of my favorite players (now manager) has been fired from his managerial job with the Seattle Mariners. I'm a little bummed. I've tried following his career since he was a third string catcher with the White Sox. It's just gotten slightly harder to follow now. 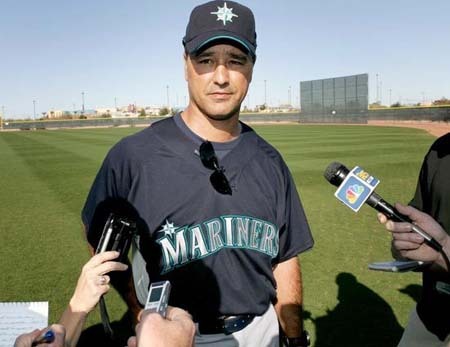 Good luck to Don Wakamatsu, wherever his next job may be. At least I got to see two Wakamatsu led games against the White Sox this year, in person. So, I've got that going for me. This is the season of garage sales, so who knows what treasures lurk just waiting to be found by you. The only baseball card related item I found was a stack of 1987 Topps Tippy Martinez cards. I passed. I already had five at the time. As much as I love me some Tippy, even I have limits. I know people find good stuff all the time. I just haven't experienced that pure bliss for myself, yet. How many people would pass this box over not knowing what was inside? If you didn't read what it was, I could see someone thinking the contents had something to do with the circus or popcorn. I could see someone who glanced at this dismissing the box as unimportant. One day, I'll find a bargain like this. Until then, does anybody have any good stories on finding good cards for a bargain in unexpected places? 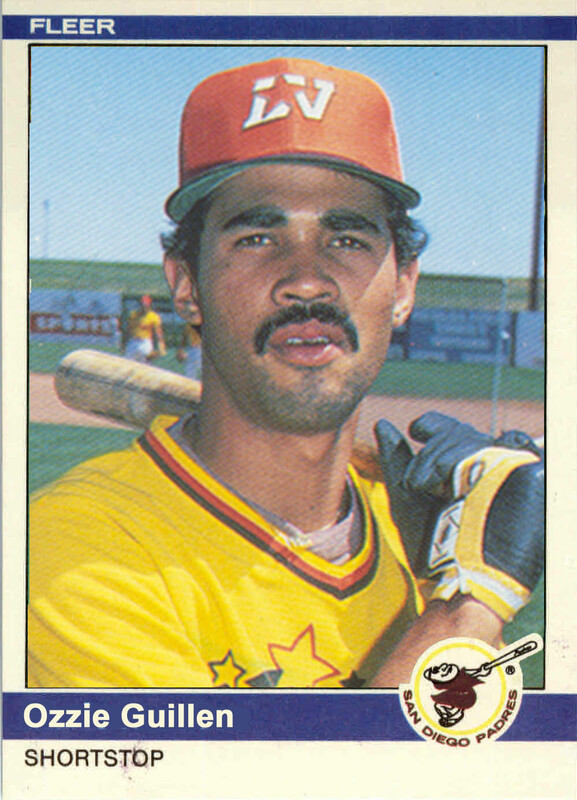 Ozzie Guillen was a star in the Padres minor league system, except he was blocked at shortstop by Garry Templeton. If the Padres weren't in a pennant race in 1984, maybe Ozzie would have made his MLB debut with the Padres. After the Padres won the National League Championship in 1984, Ozzie was dealt to the Chicago White Sox with three other players for LaMarr Hoyt and two minor league players. Ozzie made his MLB debut in 1985 and ended up winning the American League Rookie of the Year award, with a solid first season. In 1984, Fleer was the one of the few card companies to include Roger Clemens in any of their sets. With this type of forward thinking in mind, one might be inclined to think that Ozzie Guillen was at least considered, but dropped, due to space limitations. 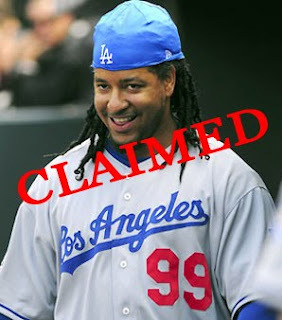 As for the picture, I'm certain that there is a photo of Ozzie in a Padres uniform floating around somewhere. Possibly from a Spring Training game. Until that time, this photo of Ozzie on the AAA Las Vegas Stars will have to suffice. Jerry had a card with the Detroit Tigers in the regular Topps set. He also had a Padres card earlier in this series. 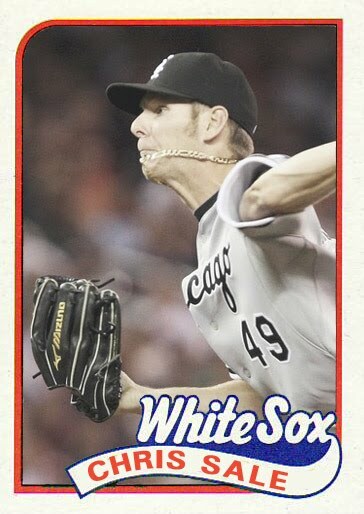 Here is the promised White Sox card. 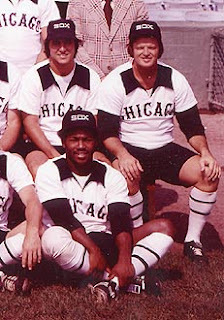 Jerry finished out his career with the Chicago White Sox, with two games in 1975. On July 20th, he entered the game in the eighth inning against the Brewers, pinch hitting for the designated hitter, Jorge Orta. Moses grounded out to the Brewers third baseman, Don Money. On August 9th, Jerry entered the game in the eighth inning, replacing Carlos May at first base. In the bottom of the ninth, he made the most of his last at-bat. After a Jorge Orta home run, Jerry tripled to right field. Jerry Moses was released by the White Sox on September 11, 1975. In his last MLB at-bat, he accomplished the hardest type of hit, a triple. I'm sure that's something Jerry will always cherish, going out on a high note. When I see a package stamped "Royal Mail", it can only mean one thing... another awesome package from the proprietor of The Pursuit of 80's(ness), John! I never know what to expect when I open a package from John. This one was no different. I found a whole mess of 1968 Topps and 1977 Topps cards. Unfortunately, I've completed those sets. 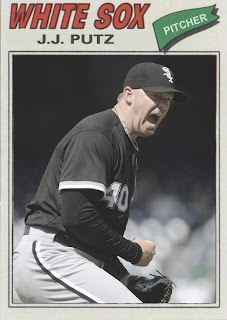 The good news is that eventually, these vintage cards will make other area White Sox fans very happy. I think I may also get a couple upgrades out of the vintage cards. All in all, I'm very appreciative of the cards. That was exhilarating to see cards from 1968 pop out of an envelope! Out of all the cards that came, I needed six. Those six are cards that have outwitted me all year long. Thanks, John! I appreciate the continued packages. When I get a good stack of Red Sox together, I will send over a package to you. I liked Ribbie and Roobarb, when I was a kid. I just didn't "get" what they were supposed to be. As a matter of fact, I still don't know what the hell they are. I've heard various reports about the origins of these temporary mascots. The most mentioned involves Andy the Clown. Andy was a fixture at the old park. Some liked him. Some didn't. As many positive stories as I've heard about Andy, I've heard just as many negative. I suppose I can say the same for Ronnie "Woo Woo" Wickers on the north side of town. Unlike Ronnie, which the Cubs organization seems to embrace, Andy was never embraced by the current White Sox owners. In an attempt to drive Andy from the park, Ribbie and Roobarb were created, or so the legend goes. I don't know the true origins and I'm not inclined to dig around for the answer. Ribbie and Roobarb were sort of embarrassing as mascots. Ribbie was a Phillie Phanatic-like ripoff and Roobarb was... something else. Yellow, I guess. They remind me of the two stoner aliens from "Heavy Metal". 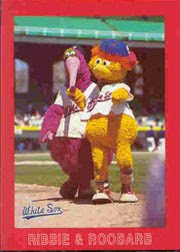 Since the demise of these two, there have been several attempts at mascots for the White Sox. From Waldo the Wolf to the current Southpaw, the Sox have tried to horn in on the mascot market with various degrees of success. If I really wanted, Southpaw can appear at my future wedding. I don't think I'll take him up on the offer, but I appreciate the thought. If I invite Southpaw to the wedding, I would be forced to invite Ribbie & Roobarb to the bachelor party. It's only right. I'm sure those two have been down and out enough to know how to throw a bash that would make "The Hangover" look like a child's tea party. J.J. is set to rival his best seasons in Seattle, this year, with the White Sox. Putz may not be a closer anymore, but he still has closer stuff. Stepping into the late inning role, J.J. succeeds where others have failed. In 2010, he set a franchise record with 27 consecutive scoreless appearances. With that kind of a pitcher in the late innings, it's any wonder that the Sox have been in or around first place for most of the summer. It's a bit of a delayed homecoming this season for Putz. The Chicago White Sox originally drafted J.J. in 1995, but he ended up not signing. In a way, he's right back where he belongs and flourishing because of it. Edwin already had success before coming to the White Sox. Jackson threw a no-hitter on June 25, 2010, where he threw 149 pitches and walked eight batters with the Arizona Diamondbacks against the Tampa Bay Rays. After coming to the White Sox and meeting with pitching coach Don Cooper, it was revealed that he had been tipping pitches. 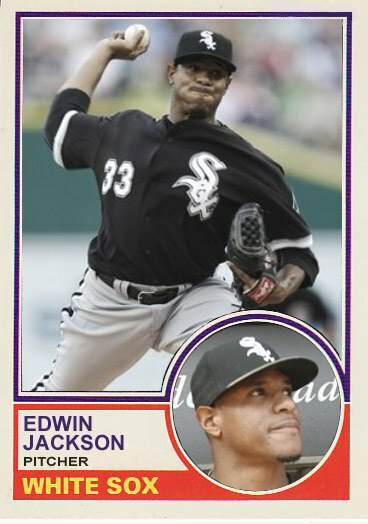 On August 4, 2010, Edwin made his ChiSox debut, going 7+ innings and giving up one run. He gave up nine hits and one walk, while striking out six. Edwin has a little it of wildness in him, but that should start to disappear the longer he works with the Pale Hose coaching staff. If Jackson can turn out even half as successful as Don Cooper's previous project, Matt Thornton, the sky will be the limit for Edwin. Last week, amid gong to two White Sox games and a concert to see my fiancee's cousin's band play, I received a package in the mail from Mark at Stats On The Back. To be honest, I can't recall if I asked for these or not. It has completely slipped my mind. Irregardless, Mark should be on the lookout sometime in the near future for a return package with something off the want list. Looking at the back of one of the cards, Donruss was very correct in its proclamation that Tom Seaver was a future Hall of Famer. By 1985, I think it was apparent to even an infant that Tom Terrific belonged in the Hall someday. It's very cool to see that his 15th Opening Day start was a highlight and a record. Here's the cards that Mark sent over. 1999 Baseball America #26 - JOE CREDE!!! I can never hear Joe Crede's name without hearing Hawk Harrelson's JOE CREDE call where he almost blew out his larynx, so I must type-shout JOE CREDE here. Thanks, Mark! These were cool and thoughtful, as usual. 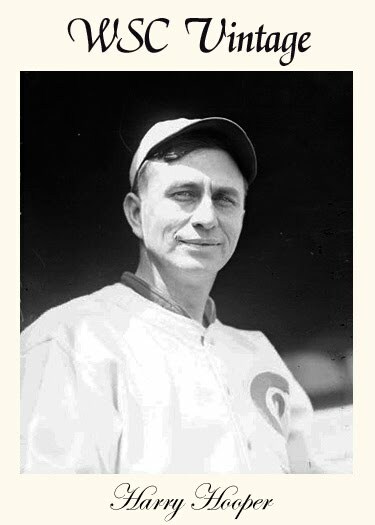 Ray made his MLB debut with the White Sox on August 9, 1924, as part of a double-header. 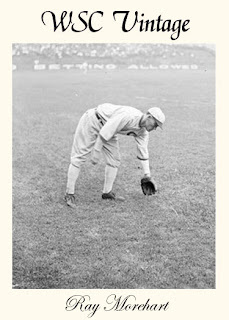 While Morehart started his career as a shortstop, he moved over to second base during his second season with the White Sox, in 1926. On August 31, 1926, Ray set a rookie record with nine hits in a double-header at Navin Field in Detroit. He slugged five hit in the first game and four in the second. 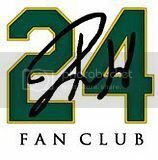 Morehart was still considered a rookie, since he did not have enough qualifying appearances in his brief stint with Chicago in 1924. As impressive as that sounds, the biggest moments of his career would lie ahead, after a trade away from the Pale Hose. On January 13, 1927, Ray was traded to the Yankees. Sharing playing time at second base for arguably one of the greatest teams in Major League history was likely something Ray remembered for the rest of his life. Morehart never played in the majors after 1927, but he hung around the minors until 1933.